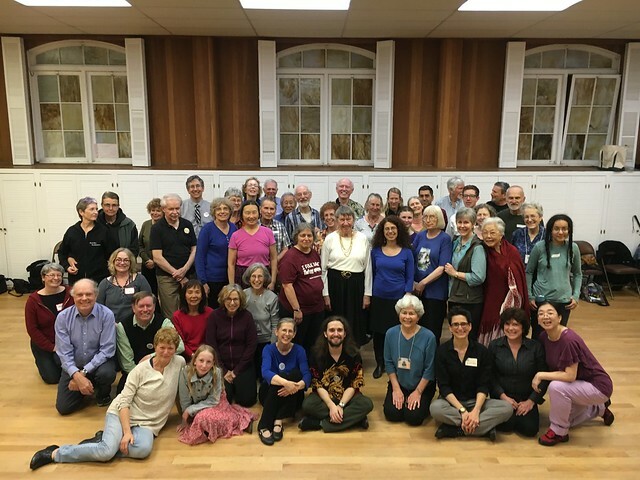 The January Family Folk Dance Night was great fun and a wonderful turnout. 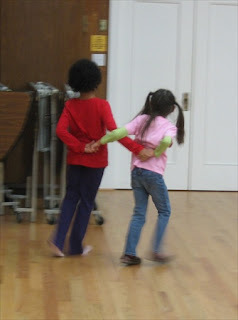 Michel taught us four American dances, including Cotton-Eyed Joe and Twelfth Street Rag, and then we did a dragon dance to celebrate the Lunar New Year. We had a great time last night, dancing to the wonderful accordion playing of Naomi Wise. Not very many costumes on those who came, but lots of folk dance skirts and blouses to check out and buy (thanks, Laila! ).